Zero waste design is a visionary philosophy of eliminating waste at the first phase of production (Zaman, 2015). Zero waste design is about maximising material efficiency. It's origins come from the fashion and textile industry, where innovative zero waste pattern making utilises all of the textiles. Traditionally zero waste design is seen as a puzzle, where the pieces are cut out and re-assembled into 3D forms. There are few precedents of zero waste product design using hard materials... until now. Pare is a prototype zero waste chair that is influenced by an extensive zero waste material exploration. The mycelium (fungi) and veneer material composite is grown and formed into complex surfaces without producing waste. The central innovation of this research is the development of a new zero waste composite material, made from mycelium and timber veneer. It is the result of an extensive interrogation of material manipulations and fabrication processes. 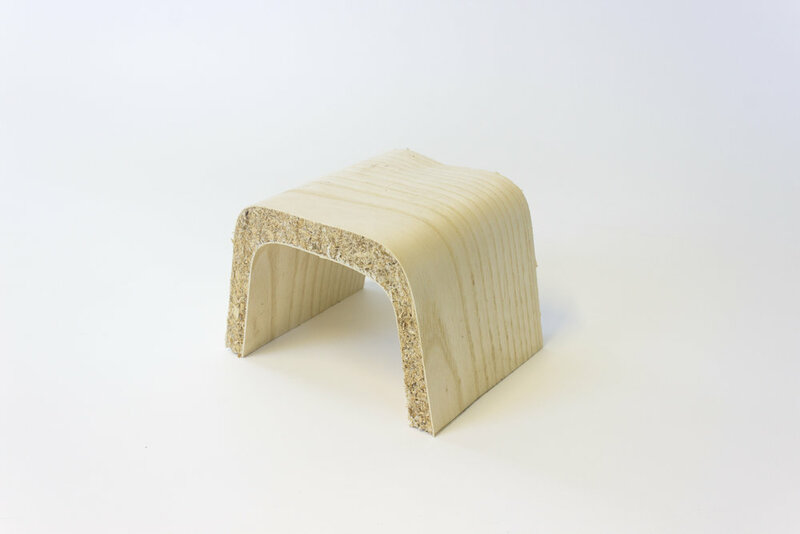 The mycelium material, which is grown using waste wood shavings and live fungi, is programmable and can be moulded or pressed. A veneer is shaped using zero waste pattern cutting inspired by textile processes, then laminated with the mycelium into compound curves, eliminating the need for post-processing. The cardboard shell of the Cardboard Soapbox Racer is fabricated with material efficient intentions. The more material efficient the pattern is, the less resources are used, less waste produced and less energy required to fabricate and/or recycle. The process of zero waste pattern making requires iterative prototyping and modemaking to refine the design.